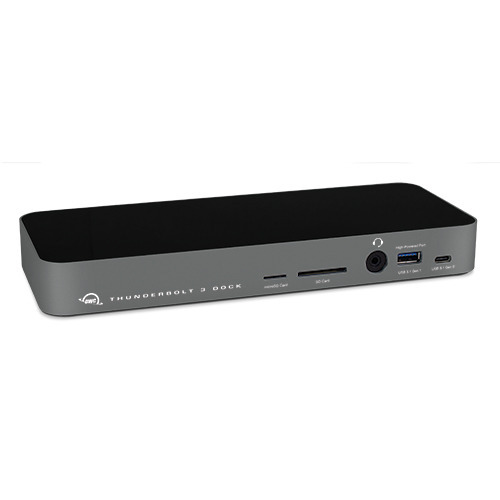 OWC on Tuesday announced a new 14-port version of its Thunderbolt 3 Dock designed to be more convenient than its predecessor with two card readers, and a wider array of modern ports for users than previous versions. Upgrades include a front-facing 10-gigabit USB-C port, capable of 15 watts of power delivery. That's enough to charge iPhones, iPads, and other compatible mobile devices. The front also offers separate SD and microSD slots with support for the SD Express format, which can handle speeds up to 985 megabytes per second, and storage up to 128 terabytes. On the back are two Thunderbolt 3 connections. One of these is a powered port able to supply as much as 85 watts, more than enough for a MacBook Pro. Other connections options include five USB 3.1 Gen 1 ports, a 3.5mm headphone jack, S/PDIF audio out, a gigabit Ethernet jack, and Mini DisplayPort 1.2 capable of connecting a display at 4K resolution with a 60Hz refresh rate. 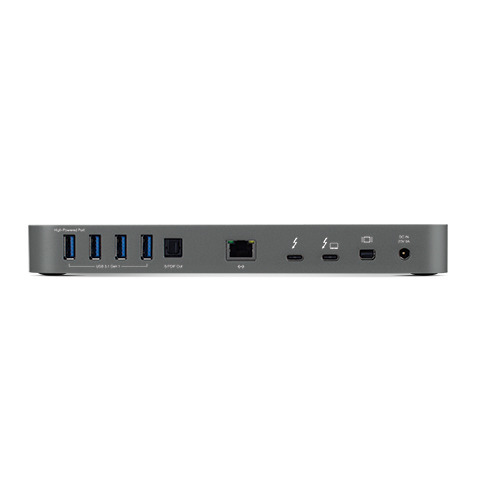 The FireWire 800 port has been removed in this version of the dock, however. Preorders of the 14-port dock are now underway for $299. Space gray and silver models should ship in the next few weeks.